This entry was posted in Birmingham City FC, Football and tagged Birmingham City F.C., Dan Scarr, Daniel Cleary, David Conn, David Cotterill, Emilio Nsue, Football, Liam Walsh, Mathew Timms, Nicolai Brock-Madsen, Olly Mulders, Ronan Hale, Stephen Gleeson, Steve Cotterill, Viv Solomon-Otabor on February 2, 2018 by Puddleglum. Who will be in the team? This entry was posted in Birmingham City FC, Football and tagged Birmingham City F.C., Cheick Keita, David Cotterill, Emilio Nsue, Football, Kerim Frei, Ryan Shotton on February 4, 2017 by Puddleglum. This entry was posted in Birmingham City FC, Football and tagged Birmingham City F.C., David Cotterill, Football, Sheffield Wednesday on October 3, 2016 by Puddleglum. This entry was posted in Birmingham City FC, Football and tagged Birmingham City F.C., Clayton Donaldson, David Cotterill, Football, Huddersfield Town, Karen Carney on March 16, 2015 by Puddleglum. 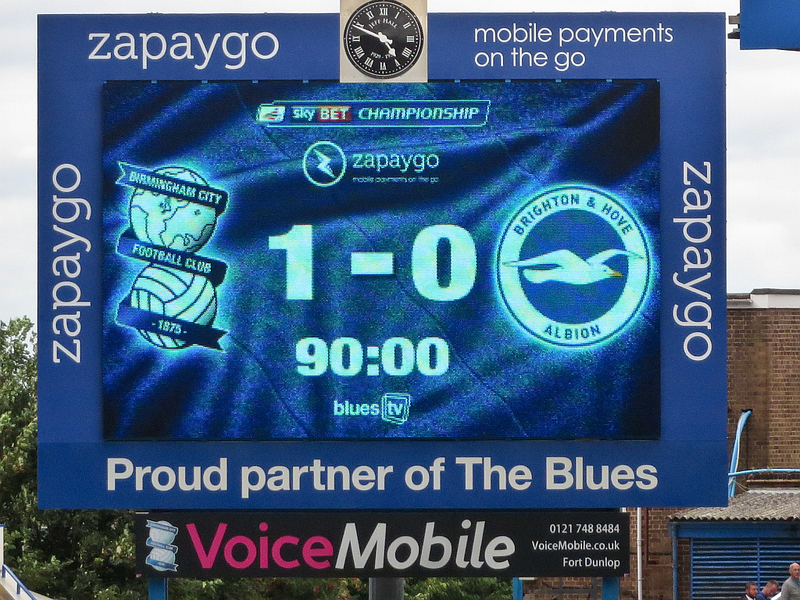 The pictures below show the final scores of Birmingham City’s last 8 home games. This entry was posted in Birmingham City FC, Football and tagged Andrew Shinnie, Birmingham City F.C., David Cotterill, Demarai Gray, Football, Guy Moussi, Jonathan Grounds, Nikola Zigic, Paul Caddis, Reading F C on December 15, 2014 by Puddleglum. This entry was posted in Birmingham City FC, Football, Life in general and tagged Birmingham City F.C., Dave Thomas, David Cotterill, Football, Made in Brum fanzine, Nottingham Forrest, Trevor Francis on December 1, 2014 by Puddleglum. This entry was posted in Birmingham City FC, Football and tagged Birmingham City F.C., David Cotterill, Football, Grant Hall, James Fry, Ricky Otto, Robbie Savage, Will Packwood on June 27, 2014 by Puddleglum.